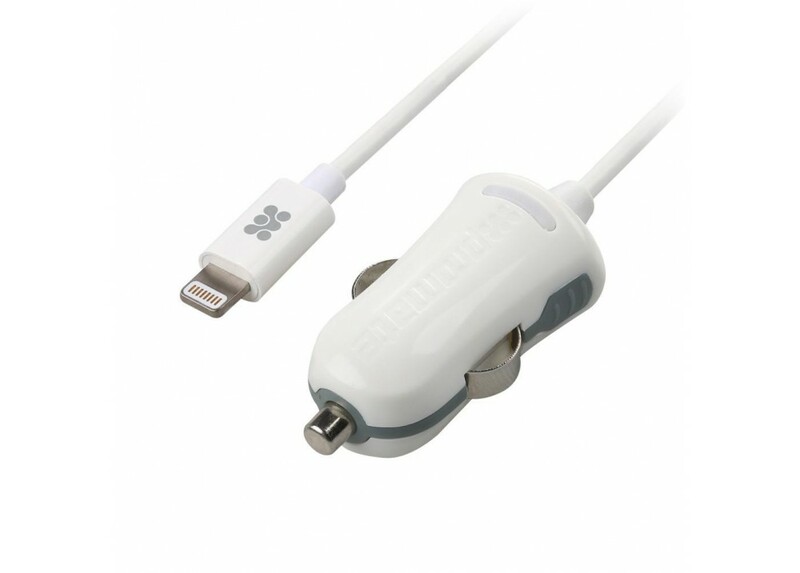 General :- proChargeLT1 is a car charger with the Lightning connector, featuring straight cable of 1..
- proChargeLT1 is a car charger with the Lightning connector, featuring straight cable of 1m (3ft.) – just for your needs in the car . 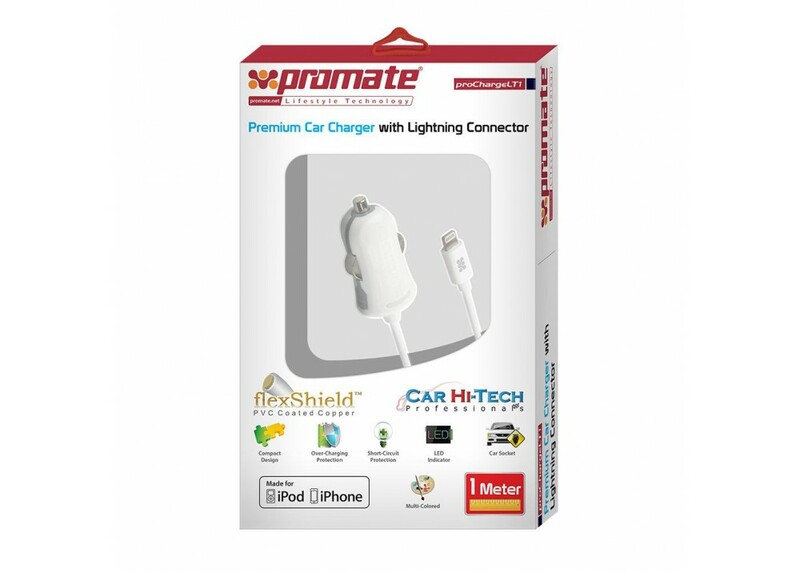 - proChargeLT1 has an in-built Lightning connector and in-built smart chip with short-circuit and over-charging protection, that charges your iOS devices safely, while on the road . - The low–profile design fits easily in your dash without getting in the way of your other controls . - Side grips make it easy to insert and remove the proChargeLT1 . - Optimized Charging Circuitry . - Low heat emission . 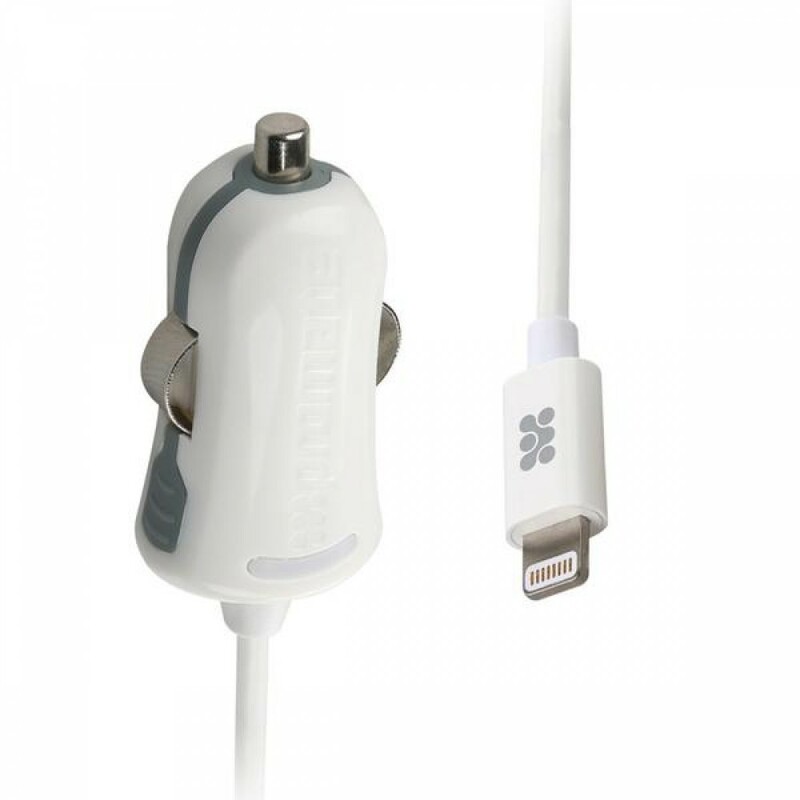 - Never worry about your devices running out of battery power while you are travelling on the road . - Car lighter adapter .